Manila, Philippines - Senator Chiz Escudero has issued fresh calls to resolve the ownership of Metro Rail Transit 3 (MRT 3), which is being contended by the government and the Metro Rail Transit Corporation (MRTC), because it is hurting the implementation of an efficient and sufficient mass transport system for the riding public. Escudero, chairman of the Senate Finance Committee, has been pushing for the settlement of ownership since 2010 in order to determine the status of the operational control of MRT 3 and allow development plans to move forward. "This must be settled immediately as the contract, I think, has been anomalous and grossly disadvantageous to the government from the beginning," Escudero said. "The government must already now have the rightful control of the MRT 3 operations. 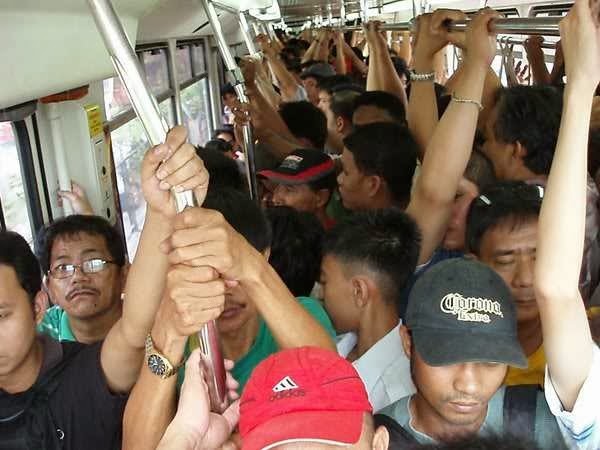 Unless we resolve this issue, we prolong the agony of the public waiting for an effective and efficient mass transport system." The Department of Transportation and Communications (DOTC) and the MRTC have been locked in a bitter legal battle over the department's purchase of additional 48 train coaches for MRT 3 to decongest the system and increase the frequency of train rides. The Makati Regional Trial Court Branch 66 has issued a 20-day temporary order of protection against the DOTC. The MRTC entered into a build-lease-transfer contract with the DOTC to build the MRT 3 project in 1997 with a put-up equity of US$190 million. The government has since been paying for the project. Over the years, the MRTC has retained control of the operations and development of the MRT 3, and has been collecting and receiving income from development rights payment (DPR) from commercial rights and development of the 16-hectare depot site, including all concessions to develop air and ground spaces. "In 2010, state banks like the DBP (Development Bank of the Philippines) and the Land Bank acquired a controlling interest in MRT 3 by accumulating equity in and debt paper of the MRTC to realize savings for the government," Escudero explained. "With the combined 72 percent equity from the two government financial institutions (GFIs), the government may easily take control of the MRTC. Hence, it even becomes legally absurd for MRTC to be suing the DOTC given that both entities carry the same government interest." Last year, President Benigno Aquino III issued Executive Order No. 126 directing the DOTC and the Department of Finance to buy out MRTC with a P56-billion allocation. "In the name of public interest and in line with the mandate of EO 126, this should be strictly implemented by the DOTC now. The revenue and control flows of MRT3 should be pointing towards the government coffers. The DOTC, by any possible means, should immediately act on this if it is really sincere in easing the daily plight of the riding public."